Dr. Townson’s expertise is in SCI caused by injury to a high level of the spinal cord. This type of SCI causes high tetraplegia — the paralysis of all four limbs — and can also include paralysis of the diaphragm. She also studies ventilator dependency resulting from paralysis of the diaphragm. Spinal cord injuries are often caused by physical trauma; however, Dr. Townson also works with patients with non-traumatic SCI, sometimes caused by cancer, infection, or other disease. Besides being an Investigator at ICORD, Dr. Townson is the Medical Site Lead and an Attending Physician on the Spinal Cord Injury Rehabilitation Program at GF Strong Rehabilitation Centre. She is a Clinical Associate Professor and Head of the Division of Physical Medicine and Rehabilitation at the University of British Columbia. Her M.D. was completed at Queen’s University and her Residency Training in physical medicine and rehabilitation was at the University of British Columbia. 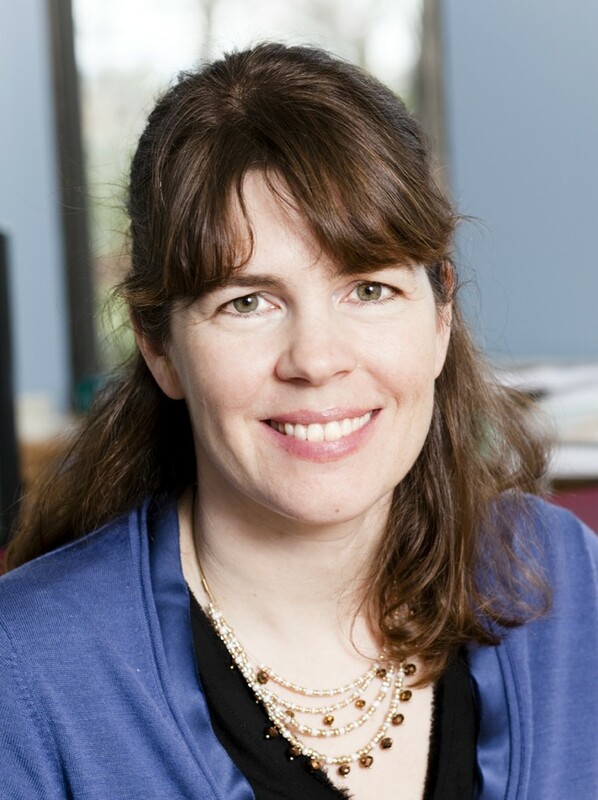 Dr. Townson is a member of SCIRE, the Spinal Cord Injury Rehabilitation Evidence Project. SCIRE is a multi-domain, multi-group project working to bring together rehabilitation evidence to improve the health of people living with SCI. By accessing the work of SCIRE, health care providers and patients can use the latest research evidence in spinal cord rehabilitation and apply it immediately in the clinical setting. As a member, Dr. Townson helps to review knowledge on SCI and improve its clinical use. Her favourite aspect of working at ICORD is being able to work with colleagues from across health care and research disciplines. Such diversity helps to make a difference in the lives of patients living with SCI. Dr. Townson is a member of F2N2, otherwise known as Fatigue and Function of Neuromuscular and Neurological conditions. This team of investigators, which includes Drs. Bill Miller, Hugh Anton, Sue Forwell, and Catherine Backman (Department of Occupational Science & Occupational Therapy, University of British Columbia), is attempting to address the debilitating effects of fatigue by developing improved measures and strategies to cope with this secondary health condition. Dr. Townson is also a member of the International Non-Traumatic SCI Study Group (NTSCI), led by Dr. Peter New from the Caulfield Hospital in Australia and including co-investigators from eight other countries. SCIRE, Spinal Cord Injury Rehabilitation Evidence, is a Canadian research collaboration of scientists, clinicians, and consumers. SCIRE covers a comprehensive set of topics relevant to rehabilitation and integration into the community. It reviews, evaluates, and translates existing knowledge from SCI research into a clear and concise format, which informs health professionals and other stakeholders about current and emerging best practices following SCI. This synthesis also enables relevant decision-making in public policy and medical practices. In addition, clear evidence-based reviews can help to guide the research community and funding organizations to strategically focus their time and resources on knowledge gaps and help identify research priorities. Dr. Townson’s work with F2N2 is helping researchers and clinicians find better tools to measure and understand the factors influencing fatigue in SCI patients. She worked with community-living subjects to evaluate the Fatigue Severity Scale (FSS) and found that it has acceptable reliability and validity. There are currently no openings in Dr. Townson’s lab. Please contact Dr. Townson with inquiries. Bélanger, LMA et al.. 2018. Evaluation of a Clinical Protocol to Assess and Diagnose Neuropathic Pain During Acute Hospital Admission: Results From Traumatic Spinal Cord Injury.. Clin J Pain. doi: 10.1097/AJP.0000000000000523. Round, AM et al.. 2017. An evaluation of the International Standards to Document Remaining Autonomic Function after Spinal Cord Injury: input from the international community.. Spinal Cord. doi: 10.1038/sc.2016.152. Anton, HA et al.. 2017. The course of fatigue after acute spinal cord injury.. Spinal Cord. doi: 10.1038/sc.2016.102. Smith, EM et al.. 2016. The relationship between fatigue and participation in spinal cord injury.. Spinal Cord. doi: 10.1038/sc.2015.149. Eng, JJ et al.. 2014. Impact of an online medical internet site on knowledge and practice of health care providers: a mixed methods study of the Spinal Cord Injury Rehabilitation Evidence project.. J. Med. Internet Res. doi: 10.2196/jmir.3453.